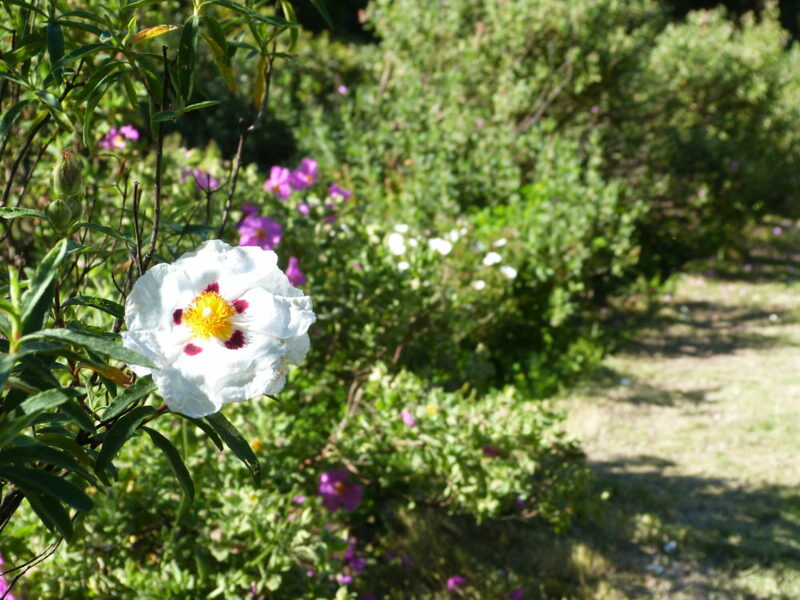 Typical of the Mediterranean region, rock roses are particularly well adapted to summer drought. Their leaves are covered with a cuticle that limits evapotranspiration. 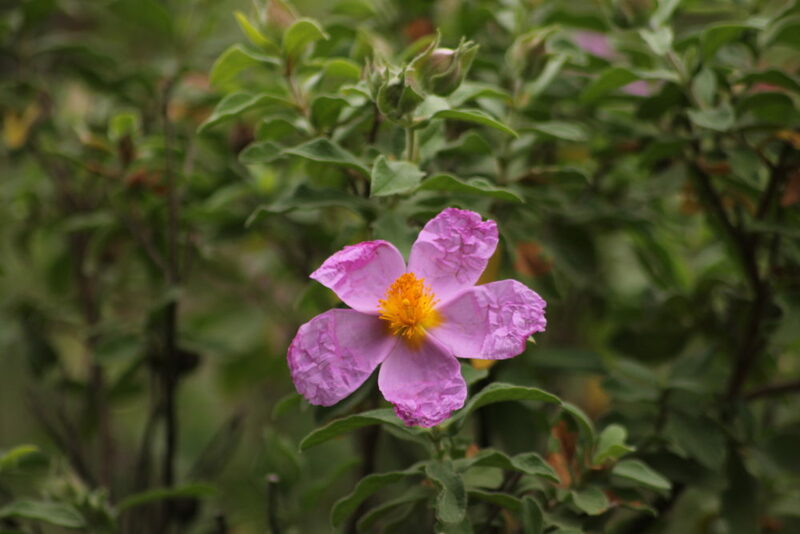 protective resins that limit evapotranspiration, as in the cases of cistus ladanifer and the Montpellier rock rose. 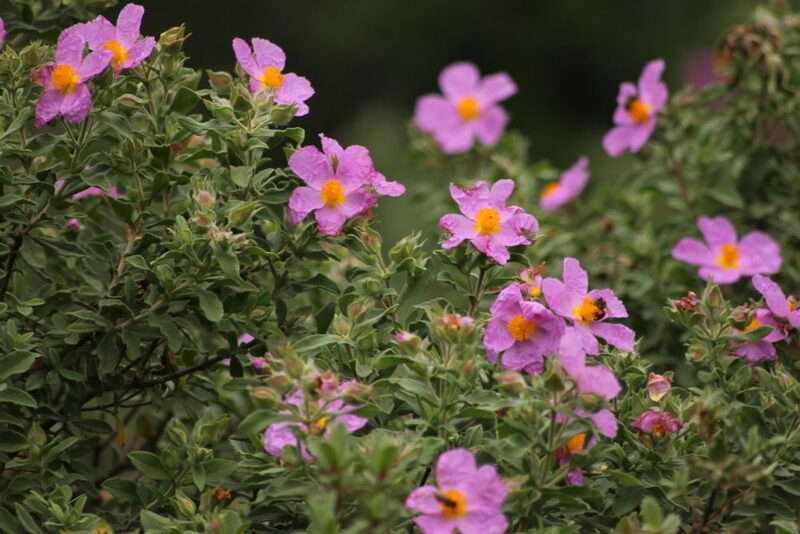 Rock roses also have the ability to lose some of their leaves during the summer, which reduces their surface area which is subject to evapotranspiration. Before falling, the leaves take on a yellow colour as the plant recovers the chlorophyll contained in them. Watering rock roses in the summer should be avoided as this makes them lose their ability to withstand drought on their own. Rock roses only bloom in spring. Each flower lasts for just one day, and often only half a day. Once again, this is an adaptation to dry conditions, because although leaves are adapted to transpire very little, this is not the case for flowers. Flowering therefore causes the plant to lose water. This ephemeral flowering is also linked to the activity of pollinating insects. Petals fall when a flower is pollinated. In overcast weather, pollinators are less active. In this case, an unfertilised flower will last longer. Rock roses are also a supreme example of plants’ capacity to adapt to fire, to the extent that that they are sometimes referred to as ‘children of fire’. This is because the fire’s heat causes the seeds to germinate but also because fire, which these plants help to spread, maintains the open environments in which they thrive. 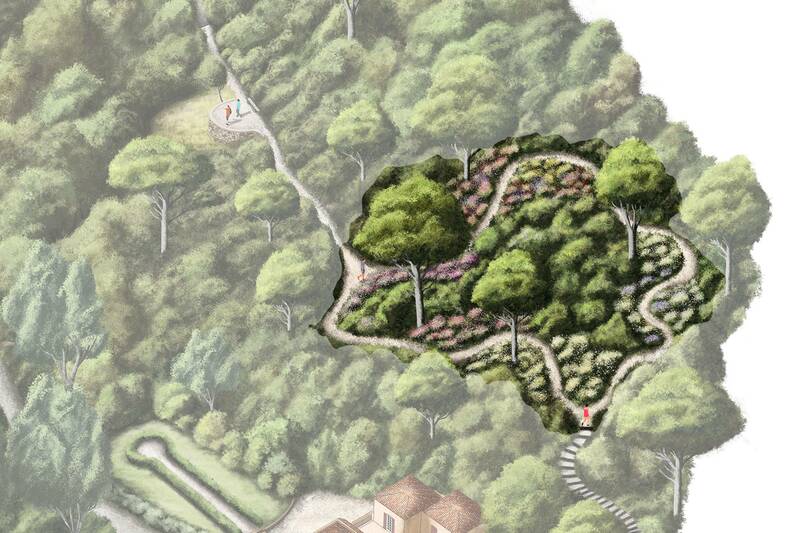 These are sun-loving plants – they disappear if the vegetation starts turning into forest. At the Domaine du Rayol there is a rich collection of 35 botanical species, some of which are native to the Canary Islands, and many hybrids. In fact, in nature, if several species coexist, they sometimes spontaneously hybridise. Hybrid rock roses are sought after in horticulture for their high flowering capacity.